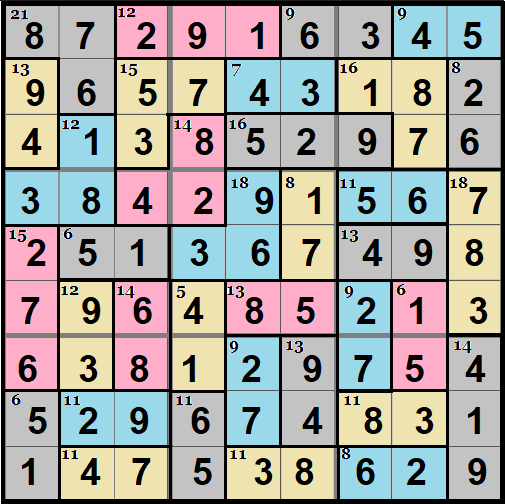 If you thought regular Sudoku was boring, how about trying Killer Sudoku? The same normal rules apply; there can only be one of each number (1-9) in each row, column, and 3x3 block, BUT there is an additional rule! There are different squares grouped together, and the numbers in the squares must equal the number when they are all added! 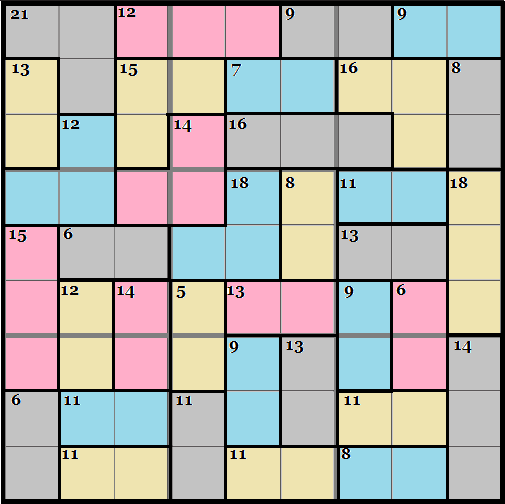 For example, in the top right hand corner of this month's puzzle there are two light blue squares with the number 9 in them. 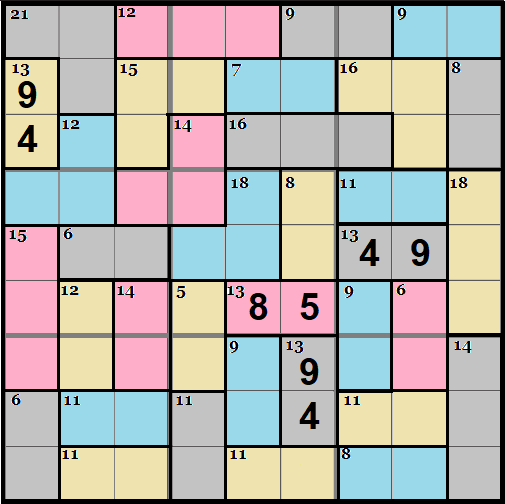 The two numbers in those squares, when added, must equal 9, so you know those two numbers are either 1+8, 2+7, 3+6, or 4+5. For 30 HOOTS, PM me the answer by 11:59PM HOL Time Feb. 28! The first to turn in a correct solution: Astor Arensin! It would seem this Killer Sudoku is even more killer than i thought! Here is a hint for those that would like it! The solution for anyone who is curious!